Singapore is Asia’s gateway for global leaders in ship financing, ship broking, risk management and marine insurance. 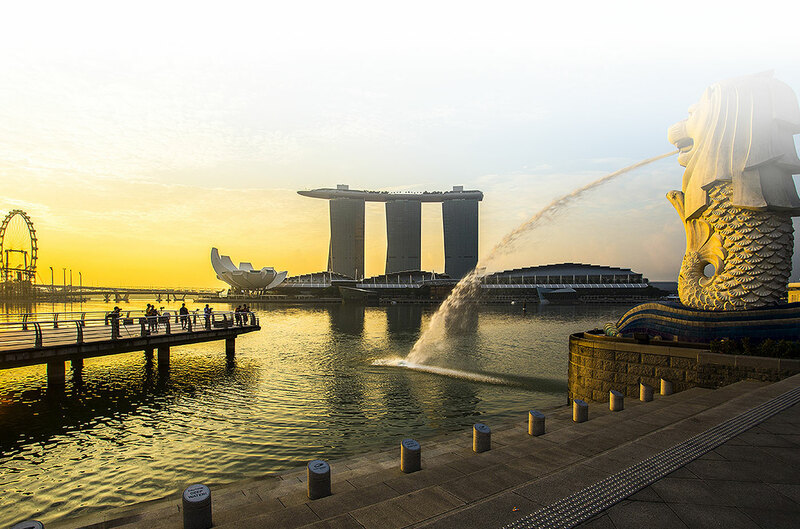 Capitalising on its strategic location, sophisticated port facilities and shipyards, Singapore has developed into a premier International Maritime Centre (IMC) where ships hub and essential ancillary services in shipping, commerce and logistics flourish. Maritime Singapore is home to more than 5,000 maritime organisations and businesses. The pro-business government policies have established the country as a strategic centre for maritime business and a leading international maritime centre. Maritime Singapore’s vibrant ecosystem of local and international businesses provides a wide range of opportunities for both young and mid-career professionals. Whatever your interests, there will be a challenging career awaiting you – from engineering and finance to logistics and technology. Maritime Singapore careers equip you with transferrable skills, high remuneration and everyday challenges that will test and grow your professional capabilities. Owns, operates and/or manages vessels that transport goods from one location to another. Coordinate the needs and requirements of vessels when they are at port. This can include, arranging for vessels repairs, loading and unloading of goods and collecting and issuing bills of lading. Acts as the middle man between ship owners and charterers for the use of ships to transport goods, or between buyers and sellers for the sale or purchase of ships. Acts as a third party to help ship owners manage or operate their ships. Management responsibilities depend on the contract signed between ship owner and ship management company. This can range from simply providing a crew for the ship to full management responsibilities like commercial operations and technical maintenance. Provides services to vessels when they call at the port. These services can include the loading and unloading of cargo, replenishing ships with bunker fuels and ship supplies, etc. Supplies bunker fuel of suitable grade and quality to vessels. – Act as intermediaries between importers and exporters to seek out and coordinate the most cost effective and suitable method to transport goods between locations. – Organisations that establish and apply technical standards pertaining to the design, construction and survey of marine related facilities like ships and offshore structures. Facilities that have been designed and built to the rules of a society may apply for a Certification of Classification from that society. Carries out inspections and examinations of vessels to ensure that their construction, machinery, equipment and cargo meet government, classification society and international maritime regulations. Provides legal advice and representation support to maritime companies on shipping, shipping finance and other shipping related matters. This can include helping clients to settle disputes on contractual agreements or liability for losses sustained at sea. Offers maritime companies risk management instruments to cover any losses arising from damage to their assets or third party liabilities such as claims made by other parties for vessel collision or pollution damages. Helps source or provide capital to maritime companies for fleet expansion, fleet renewal, refinancing, repair and upgrading of vessels, etc. Trains and equips maritime students and personnel with the skills and knowledge needed for the maritime industry. Build, design, convert, repair or upgrade vessels or mobile offshore rigs such as jack-ups and semi-submersibles. Some examples of employers in this sector are Keppel Offshore and Marine, Sembawang Shipyard, Jurong Shipyard and Singapore Technologies Marine. Singapore’s Maritime industry is well supported at every level with educators, administrators, government agencies and industry associations.